A trip that's good for your soul. The world is definitely worth exploring as a traveller but have you had any whisper in the back of your head saying that perhaps it’s time to give back? Although not really popular here, volunteering holiday is so much fun and returning home with a new perspective about people, cultures and mother nature, as well as building friendships over a good cause is even more rewarding than your regular travel itinerary. 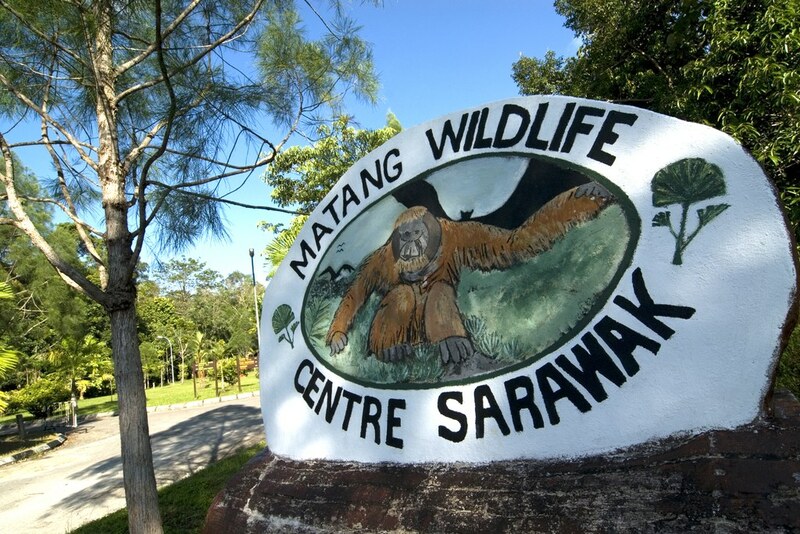 If you do know a little about animal volunteering in Malaysia, it could be because of the award-winning OrangUtan Project at Matang Wildlife Centre. 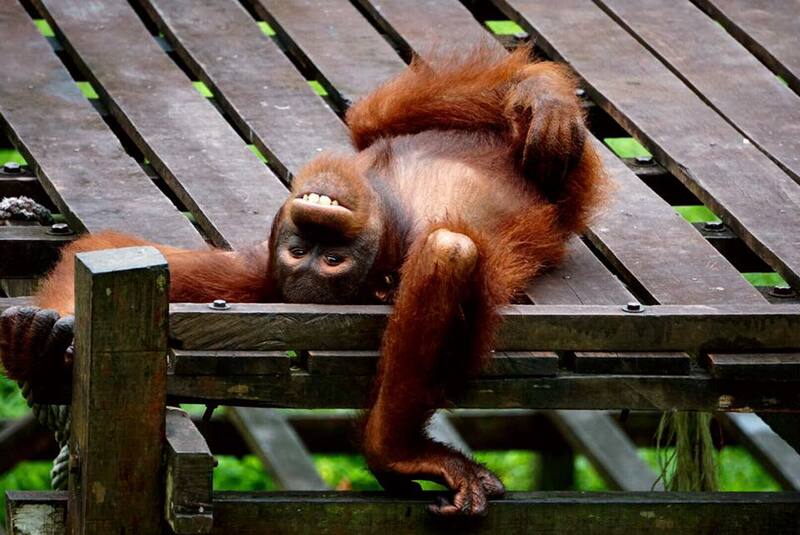 The orangutans here, alongside other rare animals such as clouded leopards and bearcats, are either rescued, left injured or orphaned, and as a whole are under constant threat due to deforestation, mining and forest fires. For two to four weeks, work with the staffs to help these amiable animals, with no physical contact since it would halt their rehabilitation. 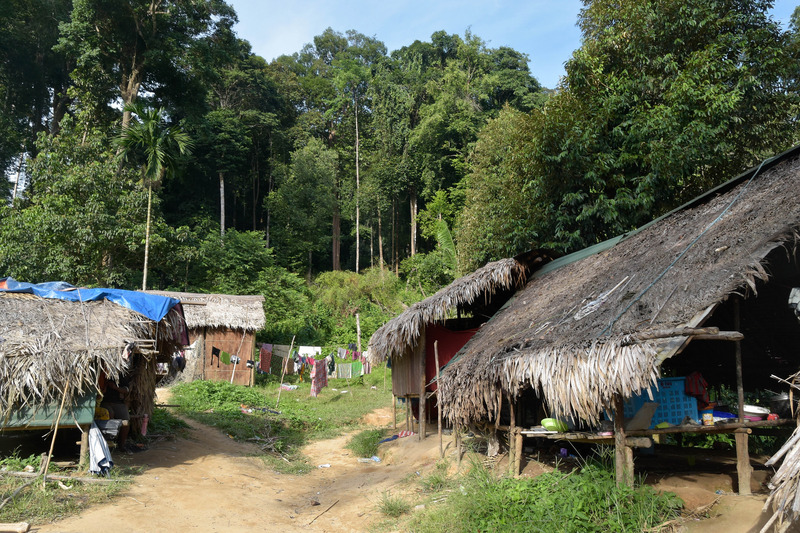 During your time here, scout through the dense forest, check out what daily life is to the Borneo’s indigenous people and get involved in organic farming. Just remember to stock up some insect repellents and sturdy boots. 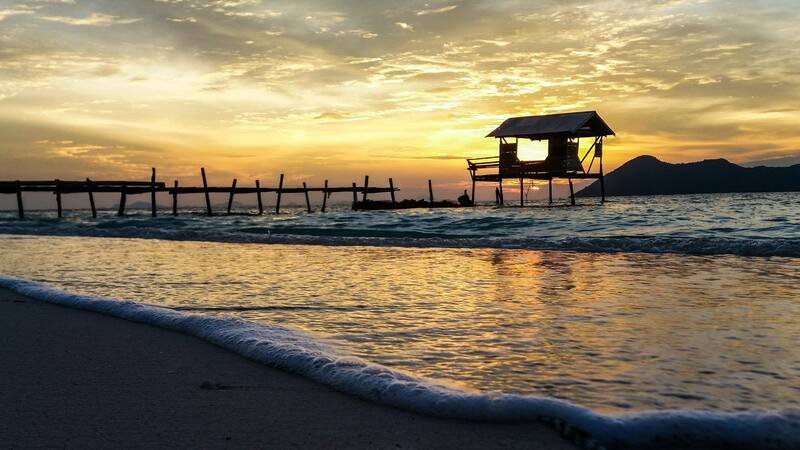 Volunteering in one of the most beautiful islands in Malaysia? Yes, please! Work with TRACC (Tropical Research and Conservation Centre) at Pom Pom Island as an underwater gardener. Yes, you read that right. Colourful corals contribute to the beauty of the ocean underneath and as a volunteer, you’ll dive in, clean the corals, plant new ones on those damaged and complete surveys that will help researchers. Novice divers need not worry as they provide training and you’ll begin at the shallow stage. On your downtime, spend time with kind-hearted locals and swim with turtles, or if you're solely committed to being a beach bum, opportunities are ripe for the taking. You may have stopped by these postcard-perfect islands as a visitor but they do need the volunteer side of you as well. The goals are to prevent the plummeting turtle population and preserve the surrounds. 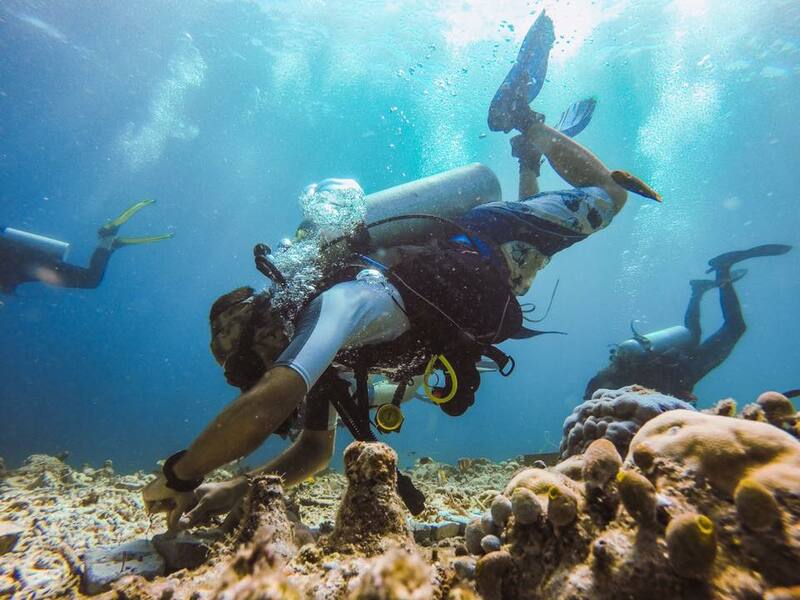 Collect data for researchers by snorkelling into the turquoise water and snapping photos of the turtles for identification purpose, plus monitor the health of coral reefs and seagrass beds. 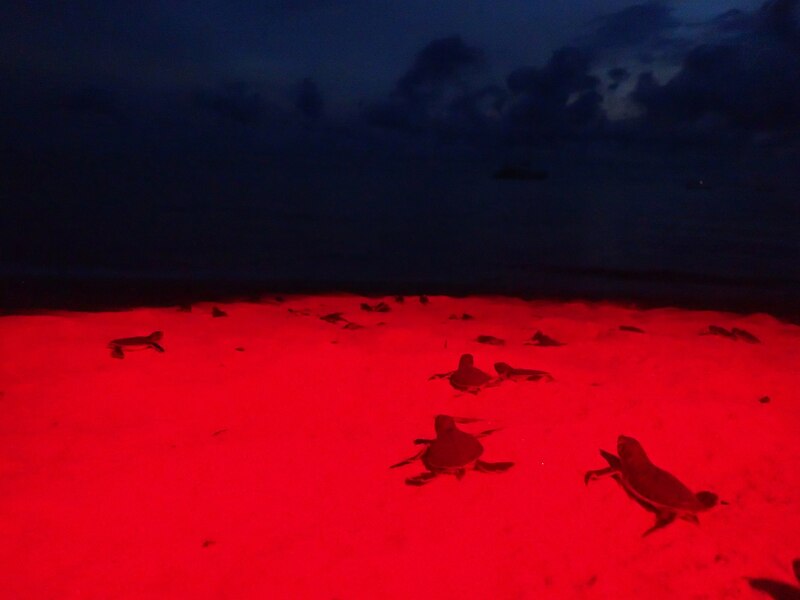 At night, under the star-lit sky, blown by the soothing sea breeze, patrol the beach to keep turtle egg poachers at bay. You can also spend time teaching English to the local community, whom in return share delicious home-cooked meals and engaging stories with you. Volunteering hasn’t sound so soothing. 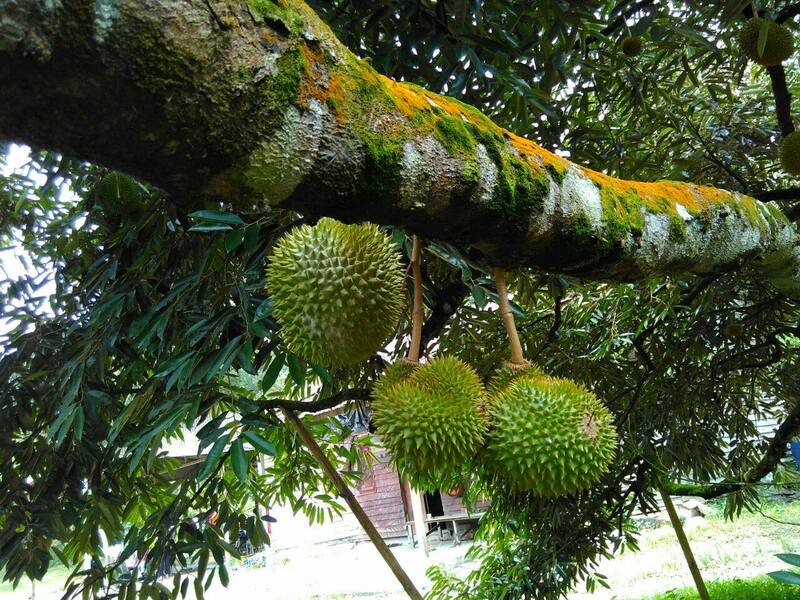 Snap out of farm games on your smartphone and step into reality at Bentong Happy Farm. The volunteering tasks and outdoor activities mirror the blissful backdrop - wake up to the call of roosters, chow down unpretentious organic meals and take on the day. Assist in vegetable plantations, fish and prawn farms, gardening and play with friendly farm animals. The produces are sold to wholesale markets to bring income to poor families. Make full use of your stay, hike up the neighbouring mountain to witness the rising sun gently break through layers of mist, go jungle trekking and SUP (Stand Up Paddling). Tucked in between the islands of Perhentian and Redang, Lang Tengah is a tropical isle where turtles are governed with much-needed care and affection. Fishing activities, water pollution and egg poachers have been contributing to the serious decline of these humble creatures. 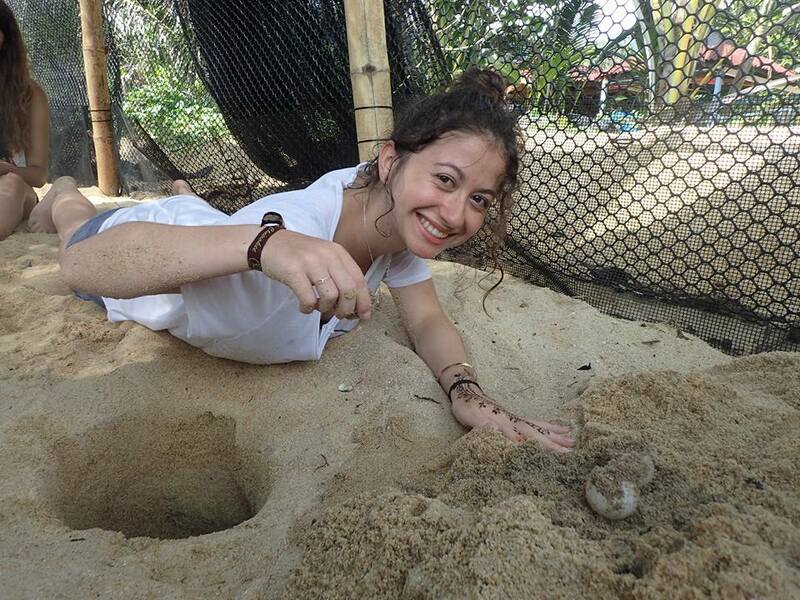 Similar to other turtle conservation centres in Terengganu, your duties are to monitor their landing, protect their nests, and night patrol to save their eggs. 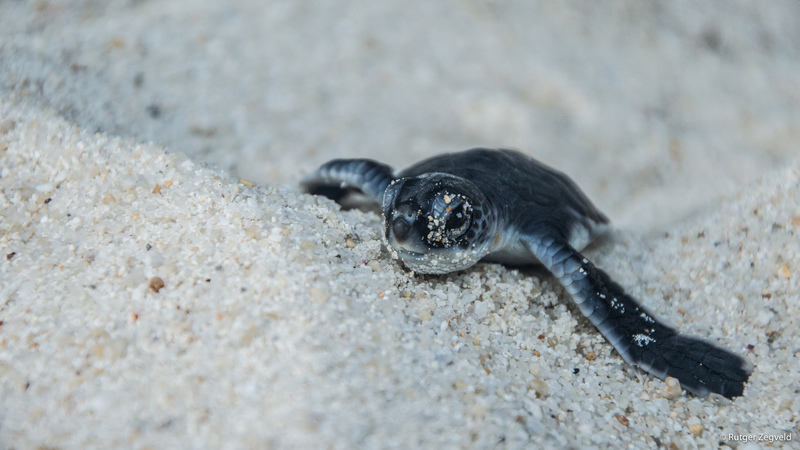 At times, volunteers gather at night to watch the hatchlings crawl their way into the South China Sea for a new beginning. The best part though, under two miles in length, you have the island all for yourself. 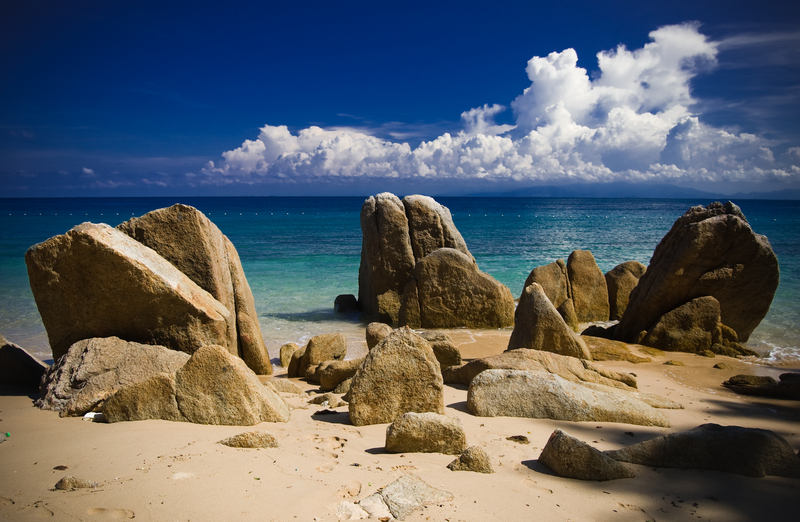 Scenic strips of white sand beaches occupy the western side, while the eastern side features rugged granite rock formations. 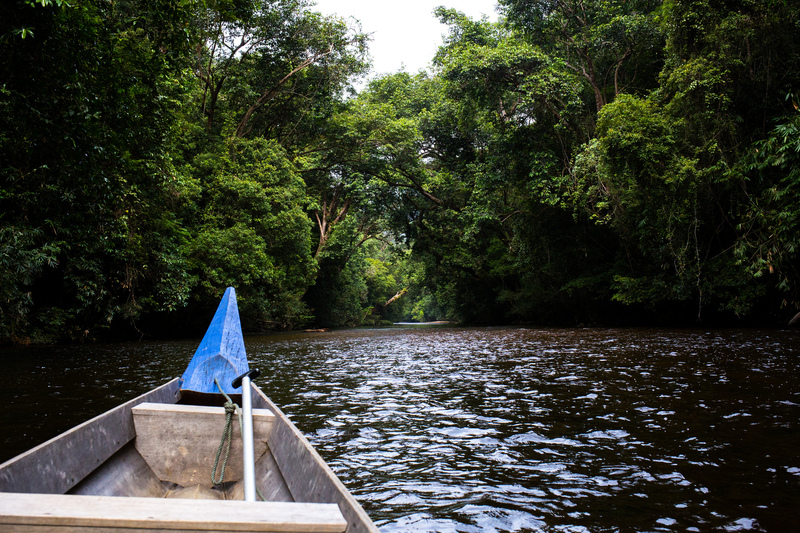 Everything you want as a nature lover, you’ll find it at Taman Negara, a 130-million years old rainforest that invites you to bask in the tranquillity and embrace the primitive pace of nature. 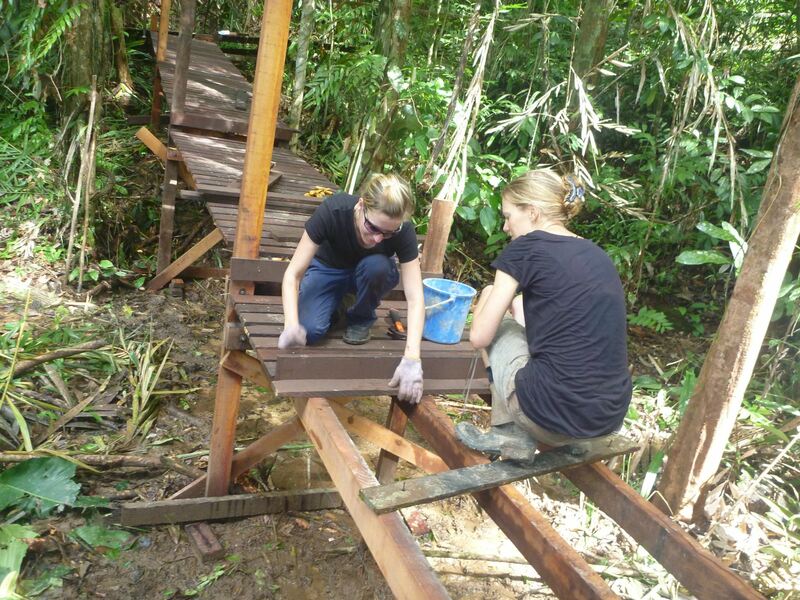 Volunteering activities are based on conservation of flora and fauna and improving the Batek tribe’s quality of life. Gather vital data such as pug and scratch marks to assist researchers, and deter away poachers. Teaching the indigenous people English is another way of doing it but in return, you’ll learn even more. Whole-heartedly calling this virgin rainforest as home, watch how they cook in bamboos, sleep under natural shelters, adorn themselves with self-made ornaments, and always wearing a wide smile on their face. If time is on your side, join a local cave excursion project, to examine the many caves that are occupied by strange species that are yet to be documented. 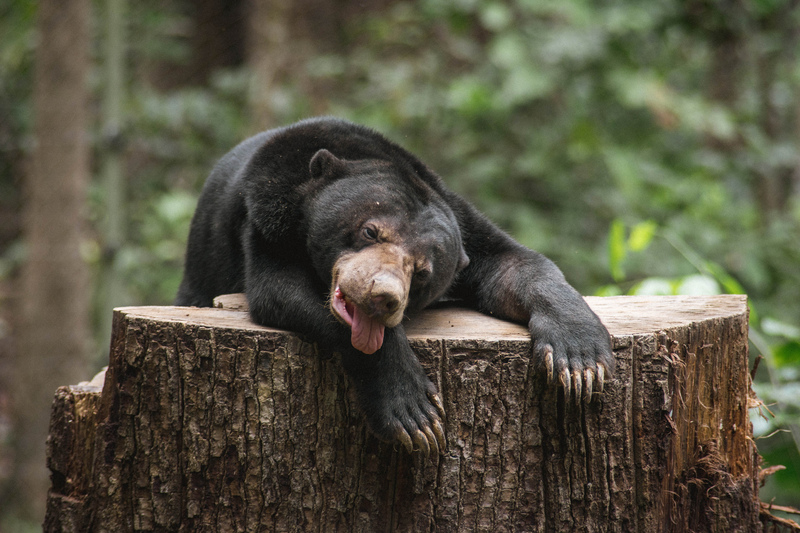 Not very often that Malayan sun bears spring to mind when one thinks of animal conservations in Malaysia. For the uninitiated, these furry friends are the smallest bears in the world and are only found in South-East Asia. Just like any endangered species, they are continually in danger due to forest degradation, illegal hunting and pet trading. At this rescue and rehabilitation centre, you get to work with biologists and researchers. When not breaking a sweat, share your knowledge about the bears to visitors. These bears are extremely fun to watch, particularly because they are skilled climbers, often hanging out at the top of the trees while embracing life in a languid pace. 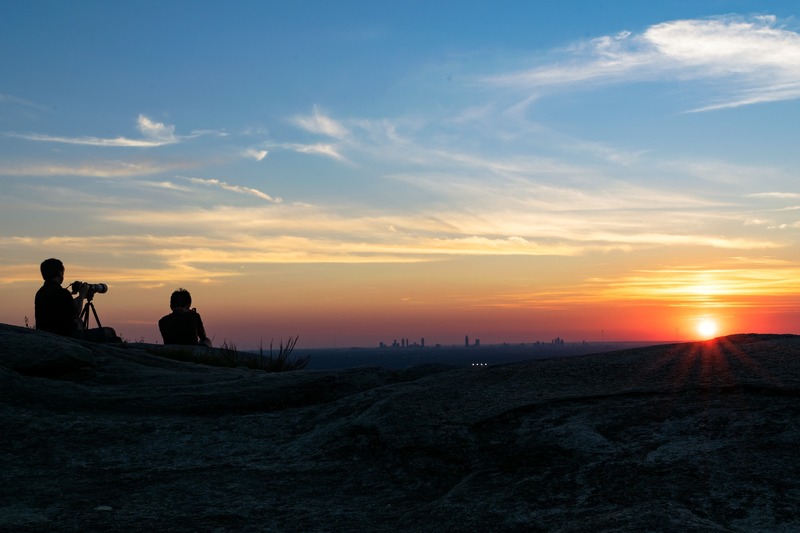 No worries, observation platforms are equipped with telescopes to offer a closer view. You’ll have a great time being with the friendly staffs too. 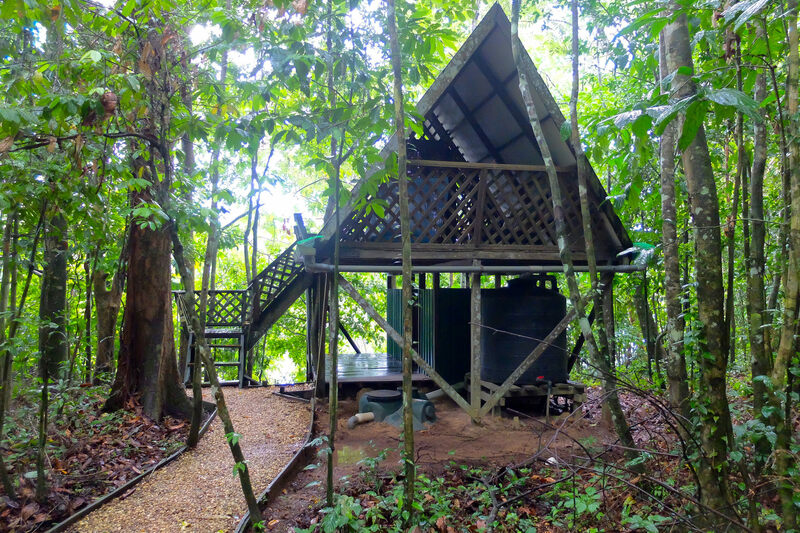 Cradled at the heart of the Borneo Rainforest and next to a gorgeous lake, Tungog Rainforest Eco Camp is a place that is sure to leave a lasting impression. 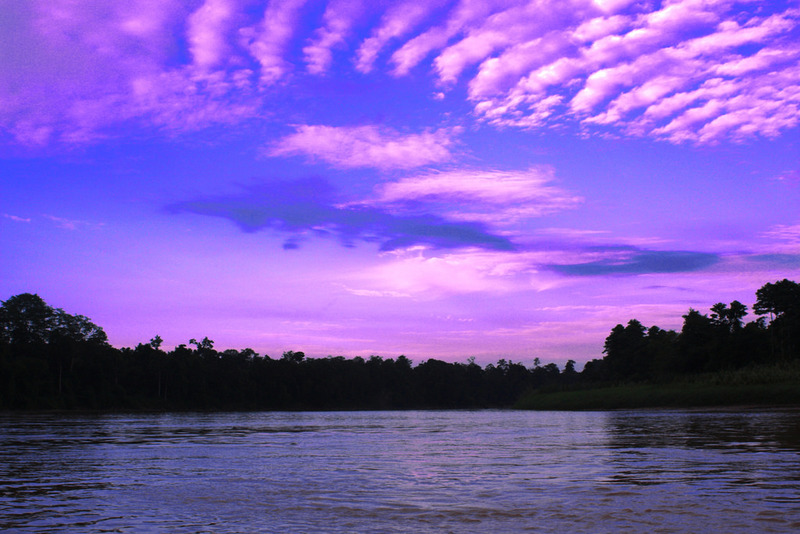 Lush greenery stretching as far as eyes can see, wild fruit trees attracting a plethora of wildlife, forest orchestra playing relentlessly and the calm Kinabatangan River not far away, you’ll completely unravel from the materialised world. From restoring the lake and forest to marking a trekking path, collecting seeds and building a treehouse that would serve as an observation platform, volunteering options are endless. You’ll be escorted by a local village guide, who would also introduce you to the rural villages that show a different side to the forest. 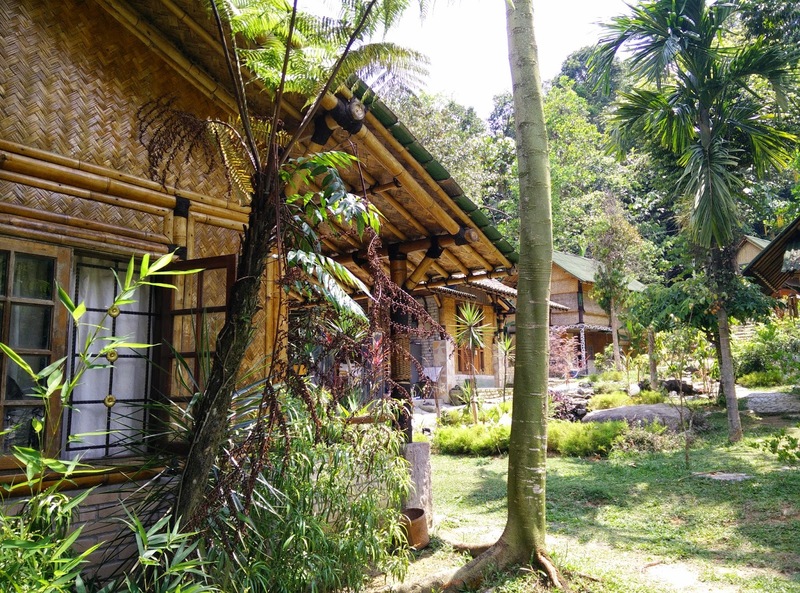 Serenity and simplicity are the order of the day at Bamboo Village, a guesthouse located on the outskirts of Kuala Lumpur. 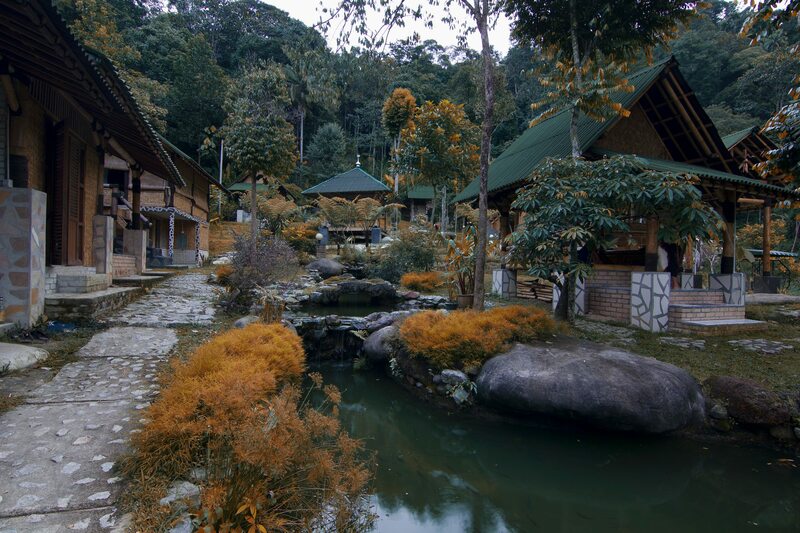 Staying true to the name, all buildings are made out of bamboos, blending seamlessly to the scenic surrounding. In fact, to reach this place is an adventure of its own, you’ll need to drive through gravel roads as the temperature turns much crisper. The volunteering work here is pretty laid-back, as compared to the other places in the list. Ensure the gardens and rooms are clean and plant new floras. Volunteers are commonly from around the world, which bring many interesting stories to the social scene. Being like-minded buddies, plan your next volunteer trip together. If you’re itching to explore more, organise a jungle tour or take bath at a warm water spring nearby. 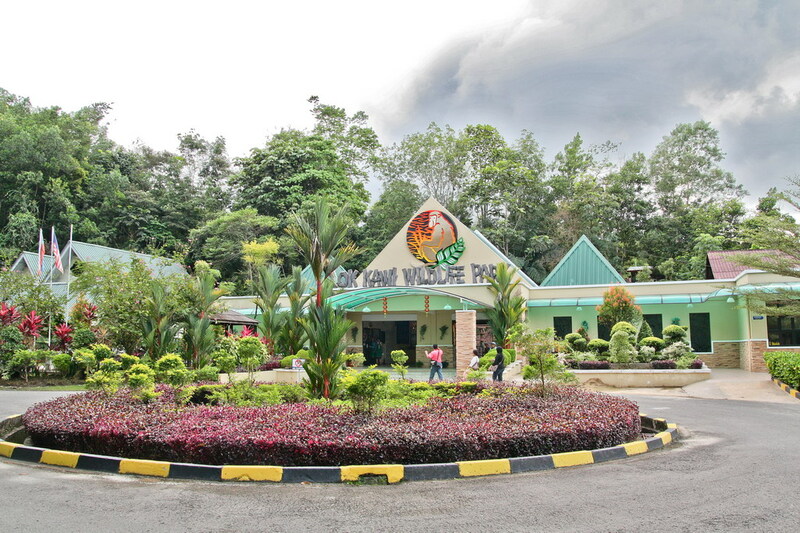 Under the stewardship of Sabah Wildlife Department, Lok Kawi Wildlife Park is a family-oriented park, home to Borneo’s native wildlife, animals from other parts of the world and a botanical garden. 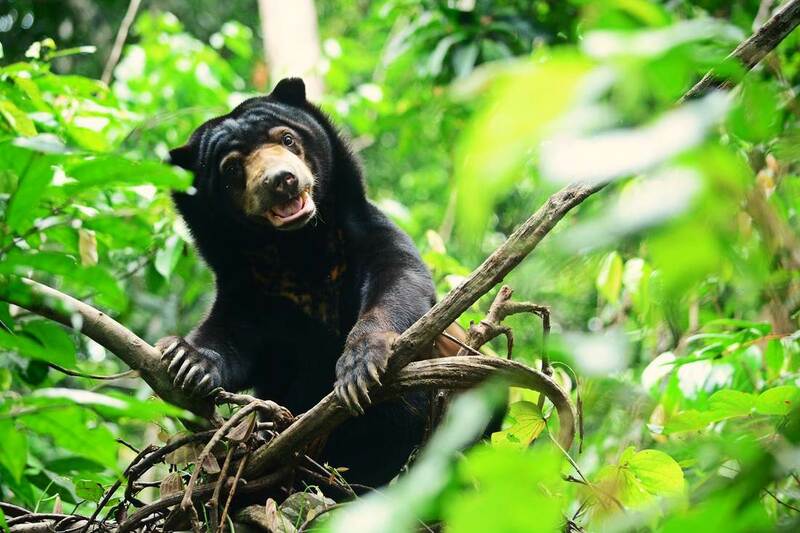 Among the jungle members are orangutans, pygmy elephants, Malayan tigers, Proboscis monkeys, gibbons, clouded leopards, and a huge aviary filled with colourful birds. However, rolling up your sleeves and turning into a volunteer is the real deal. 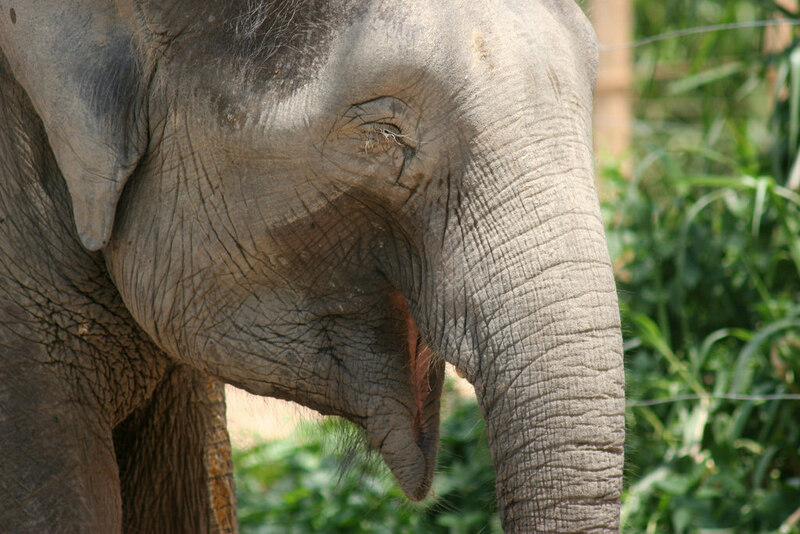 Inspect animals to see any change in their behaviour or illness, prepare them food, assist zookeepers in their daily duties, and the most heart-warming task is bottle feeding and bathing baby elephants. They’ll love your company as much as you do. 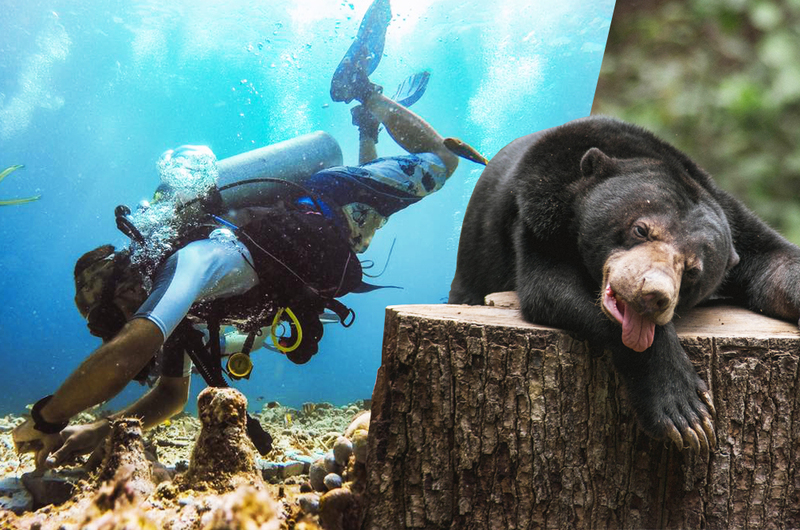 Those seeking to restore inner peace, experience a relaxed life, and of course, eager to make the world a better place, a trip to Juara Turtle Project at Pulau Tioman is definitely rewarding. As the name suggests, protecting turtles and its surrounds are the main objectives. 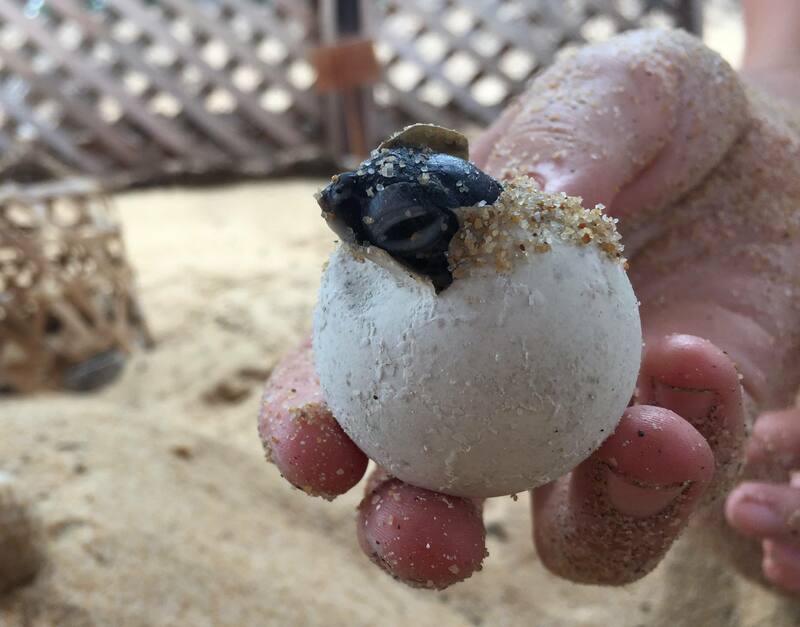 Be on the lookout for new nests, relocate turtle eggs and incubate them in hatcheries, and night patrol to ensure the eggs don’t end up in local markets. Don’t stick to the script entirely though, as the island offers even more. 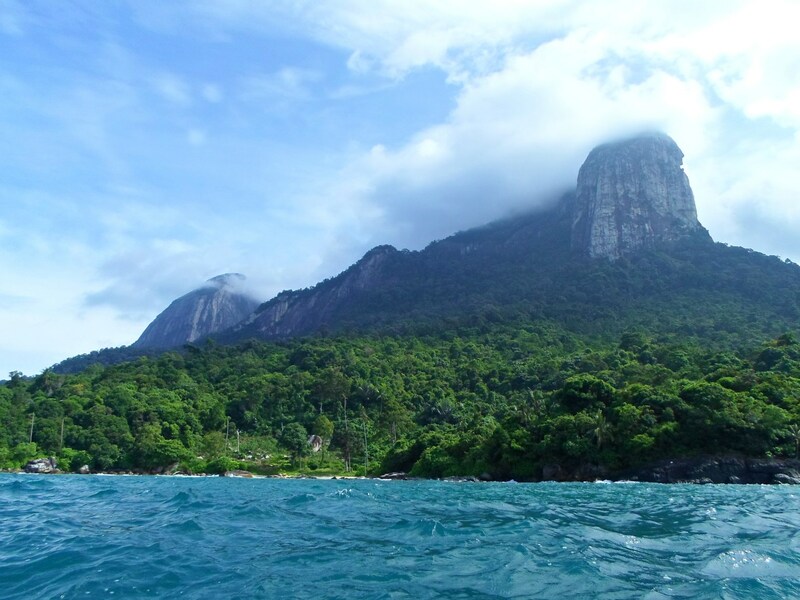 The island’s largest mountain and a scenic waterfall are pretty close to double up your adventure. Also, don’t miss the opportunities to go biking and kayaking too. 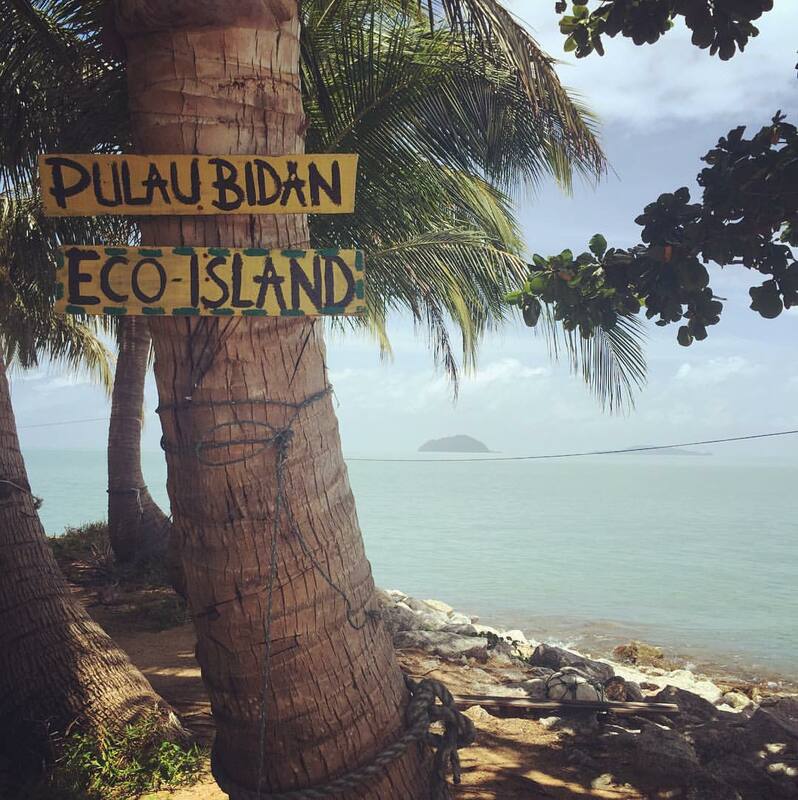 Championing a calm mixture of tropical rainforest and white sand beaches overlooking the pellucid water, Pulau Bidan is more like a breathtaking getaway even if you’re here for volunteering purpose. 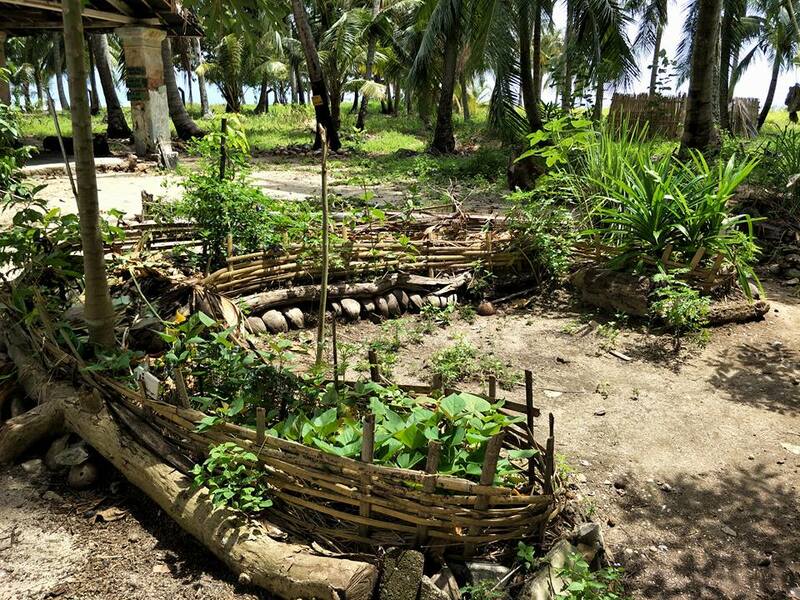 No surprise, it’s been a layover for local fishermen and permaculture principles are practised throughout. Kick start your day by collecting oysters (they taste delicious too! ), then help out at organic farms by feeding the animals and picking up fruits and partake in eco-projects. Besides that, play games with local kids, laze around with cats and drink fresh coconut juice to your heart’s content or simply get comfortable on your hammock while witnessing the sun lazily drift towards the horizon. 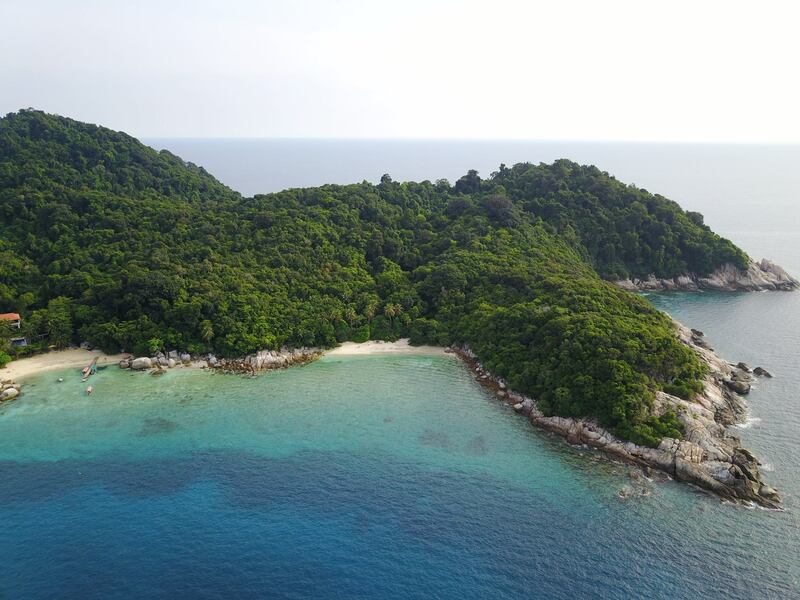 Will Pulau Besar Become The Next Pulau Langkawi?